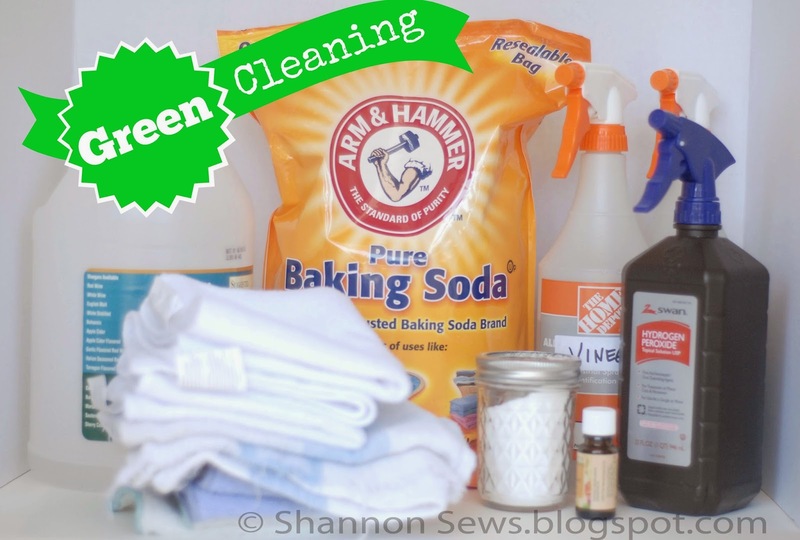 I have been obsessed lately with Green Cleaning Alternatives for Laundry and around the House. Obsessed! My Pinterest board overfloweth. 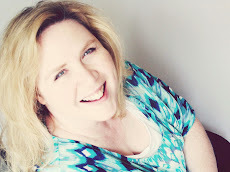 My recent share about removing yellow laundry stains with hydrogen peroxide has been buzzing. I'm guessing there are many of you out there looking for greener alternatives in your lives as well! The first time I used white vinegar and baking soda to clean the bathroom sink, I was over the moon with excitement! It fizzes! It bubbles! It cleans without harsh chemicals! And at that moment, not only was I hooked on vinegar and baking soda (you had me at fizz), but I was on a mission to find greener, non-toxic alternatives to cleaning my home! Woohoo! HYDROGEN PEROXIDE 3% - powerful disinfectant *especially when sprayed over vinegar - not pre-mixed; whitener and alternative to bleach, so careful where you spray it. Tip: Once open, hydrogen peroxide begins to deteriorate its effectiveness. Keep stored in original brown container and swap off a spray top from another bottle to spray directly. PURE ESSENTIAL OILS not only smell great, but have cleaning/anti-fungal properties, depending on the oil. DAWN DISHWASHING LIQUID not sure how "green" it is, but it de-scums showers, aids in removing yellow sweat shirt stains and re-de-fines what I thought dishwashing liquid could do! SPRAY BOTTLES I stocked up on empty spray bottles at Home Depot - good quality for under a dollar each! GLASS CANNING JAR (or other like container) to store/shake Baking Soda. Poke holes in the top of the lid and use it to shake out baking soda for cleaning jobs. CLEANING RAGS to be used and washed millions of times to eliminate waste! My go-to all purpose cleaner for Counters, Stove & Sink - mix 50 white vinegar / 50 water solution + pure peppermint essential oil in a spray bottle and use as daily anti-fungal/disinfectant to wipe down counter, stove top and sink. For a little extra scrub, after spraying the 50/50 mix, shake baking soda in the sink and let it fizz. Then wipe clean. Awesome. I have also put a couple drops of pure lemon essential oil on a warm rag and wiped everything down after spraying with the 50/50 mix. Mmmmm. It smelled so fresh and bright! It's fun to try different essential oils. Straight vinegar or 50/50 mix (depending on cleaning need). Heat in microwave and pour warmed mixture into spray bottle. Add a few generous squirts blue Dawn liquid soap. Shake. Spray shower and tub down generously. Leave to let soak. After soaking, wipe down and rinse. *Modified from One Good Thing by Jillee. For a mild scouring powder: shake baking soda around the tub. Spray with a little 50/50 mix and scrub. For mildew spots: Mix hydrogen peroxide + baking soda into a paste. Apply with an old tooth brush to mildew spots and let sit for 30 minutes or so before rinsing. ***This mix worked great, although a little more scrubbing than option 1. The peppermint smelled like I collided with a toothpaste truck. In a good way. Fresh and clean. Other antibacterial essential oils you could choose from are: tea tree, eucalyptus, or rosemary. Here's a link to an Essential Oils Directory I found (just a resource, not a product endorsement). For mildew spots: Hydrogen peroxide mixed with baking soda into a paste. Apply with an old tooth brush and let sit 30+ minutes before rinsing. Spray 50 white vinegar/50 water mixed with + your favorite essential oil all over sink and vanity. Shake baking soda on top of spray to use as mild scrubber. I sometimes spray hydrogen peroxide over the top of the vinegar/water mix to act as an extra disinfectant. Wipe everything down. Spray 50 white vinegar/50 water spray followed by Hydrogen Peroxide sprayed right out of the brown bottle all over the toilet and seat. Wipe down. Toilet Bowl- Spray 50/50 vinegar/water mix under the rim and in the bowl and shake baking soda all over inside bowl. Let it fizz...use toilet brush to scrub. Spray Hydrogen Peroxide under the rim with the original brown bottle, + in the toilet, and let it sit for 30 min. without flushing. ▪Pre-lauder: erase yellow ring-around-the-collar or other yellow shirt stains with this recipe. It really works! ▪Add a few drops of pure lavender essential oil to rinse cycle for sheets, towels or all your loads! I am thrilled with these greener, cleaner, non-toxic cleaning options! True, you have to get used to it smelling like you just dyed Easter eggs once-in-a-while from the vinegar smell, but by adding peppermint essential oils, it takes most of the harsh vinegar smell away. +I have re-defined what it means to have a clean home. +Clean doesn't mean harsh chemicals or bleachy smells. +I am amazed at how clean things can be with the purest of ingredients. +Try it - you'll be hooked! Awesome post. I'm trying to be greener, and I have several essential oils. I need to book mark this post! Thanks Lauralynn! I am crazy about these new cleaning recipes. The peppermint oil has been my favorite for covering the scent of vinegar but I really love the smell of lemon in my kitchen too!